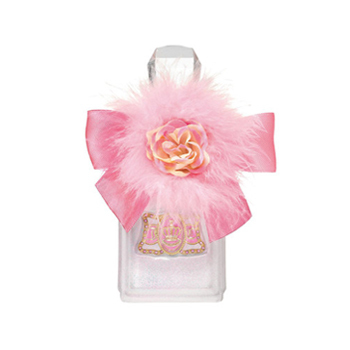 Viva La Juicy Glacé by Juicy Couture is an Eau de Parfum. This fragrance is a limited edition with notes of Frozen Mandarin, Frosted Cassis Leaves, Pear Sorbet, Jasmine, Orange Blossom, Vanilla, Amber and Sandalwood. Fun and Flirty. Not my favorite. Too bright.